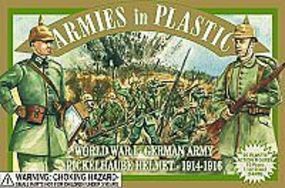 Shop online for 160 armiesinplastic plastic models at discounts up to 53%. This is the 1/32 Scale French & Indian War 1754-63 Northeastern Woodland Indians Set #1 (18) from Armies in Plastic. 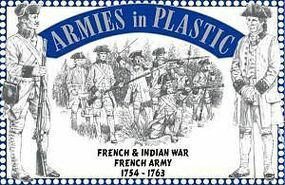 This is the 1/32 Scale French & Indian War 1754-63 French Army (16) from Armies in Plastic. 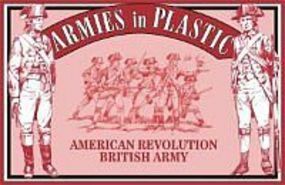 This is the 1/32 Scale American Revolution British Army Infantry (20) from Armies in Plastic. This is the 1/32 Scale WWI 1914-16 German Army Pickelhaube Helmet (20) from Armies in Plastic. This is the 1/32 Scale American Revolution Continental Army Infantry (20) from Armies in Plastic. 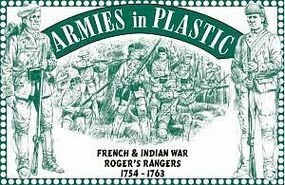 This is the 1/32 Scale French & Indian War 1754-63 Roger's Rangers (16) from Armies in Plastic. This is the 1/32 Scale N. Africa 1900 Arab Warriors (5 Mounted) from Armies in Plastic. This is the 1/32 Scale Spanish American War 1898 Teddy Roosevelt/Rough Riders (20) from Armies in Plastic. 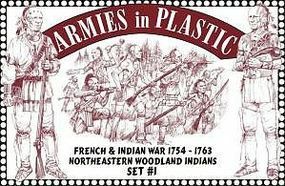 This is the 1/32 Scale French & Indian War 1754-63 Northeastern Woodland Indians Set #2 (18) from Armies in Plastic. 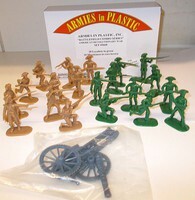 This is the 1/32 Scale American Civil War Confederate Artillery (5) with 24-Pounder Cannon from Armies in Plastic. This is the 1/32 Scale WWI British Army in Steel Helmets (20) from Armies in Plastic. This is the 1/32 Scale Boxer Rebellion China 1900 US Army with Kreg Rifles (20) from Armies in Plastic. 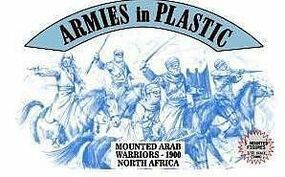 This is the 1/32 Scale N. Africa 1900 Arab Warriors (20) from Armies in Plastic. This is the 1/32 Scale WWI French Army (Blue) (20) from Armies in Plastic. This is the 1/32 Scale Napoleonic Wars Waterloo 1815 British Royal Horse Artillery (5) from Armies in Plastic. This is the 1/32 Scale WWI US Army Doughboys (16) from Armies in Plastic. This is the 1/32 Scale Fort Kandahar diorama set by Armies in Plastic. This is the 1/32 Scale US Marines OEF Afghanistan Set #2 (18) from Armies in Plastic.